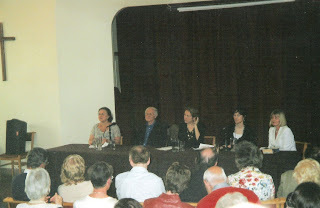 This was the title of the first talk ever organised by members of the Brontë Society based in Brussels, which was held on 18 October 2007 in the library at the Travel Arts Café Cercle Des Voyageurs in Rue des Grands Carmes near Grand Place, a venue full of character in an old building. The library seats about 60 and was almost full. We were pleased by the good attendance and feel hopeful about the prospects for organising such events in the future. There is of course no shortage of literary events in English in Brussels but most of them relate to contemporary writers. This being Brussels, the audience was pretty international. It included many native English speakers of course, but also a contingent of members from the Netherlands who always come to our main events, and quite a few Belgians, including a well-known novelist and academic and several university students. Thanks to the interest taken in our group by the local media, our Belgian membership is growing and we are very pleased about this. The media coverage given to our venture was gratifying. The national Flemish newspaper Het Nieuwsblad interviewed us and published an article on our group. The reporter was fascinated by the whole concept of literary societies, almost unknown here: "People meeting to discuss the works of the Brontë sisters: this is the latest craze blown across the Channel from Britain to Brussels". 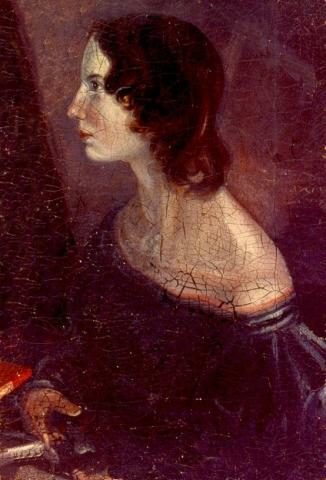 Similarly, Agenda, the Brussels "What's On", wondered whether a Brontë craze on a par with the current Austen one might be imminent, and advised bruxellois to be "one step ahead of the pack" by going to the talk: "Close your eyes and let yourself be swept along by this torrent of passion". And the radio station FM Brussel decided to get in on the act by broadcasting an interview with Derek Blyth. Derek gave a highly personal talk about his feelings on reading Charlotte's letters to M. Heger, the unanswered questions that puzzle him and his expedition to the British Library to see them for himself (the keeper of rare manuscripts at the Library told him a Charlotte Brontë ghost story which is fairly well known in Brontë circles but probably less familiar to our Brussels audience). We hope that this will be the first of many such events and that we will be able to attract speakers from the UK and other countries, as well as from Belgium, to come and talk to us. A leading Flemish newspaper, Het Nieuwsblad, has published an article on our Group and on the Brontë Society in the lead-up to Derek Blyth's talk on the Heger letters (on Thursday 18 October). We are delighted by the publicity but would point out that there are a number of inaccuracies in the article (for example, we are not "hoping for funds from the Brontë Society to finance research"). Below is the link to the original article, in Dutch, and an English translation. BRUSSELS – People who meet to discuss the works of the Brontë sisters: this is the latest craze blown over from the Channel from Britain to Brussels. 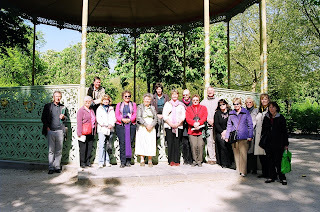 Helen MacEwan is leading the first Belgian branch of the Brontë society. Brussels is once again displaying its international character with the formation of this branch of the Brontë Society. "In Britain, the fascination for the Brontë sisters is a national sport", says Helen MacEwan. 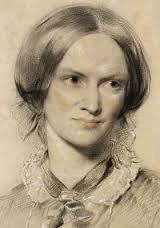 "People are constantly doing research about the tragic lives of the Brontë family. And there is a continuous stream of TV and film adaptations of one or other of the Brontë novels." MacEwan has founded the first Belgian branch of the Brontë Society in Brussels, where she works as a translator. It is hardly a coincidence that a branch has been set up in Brussels. 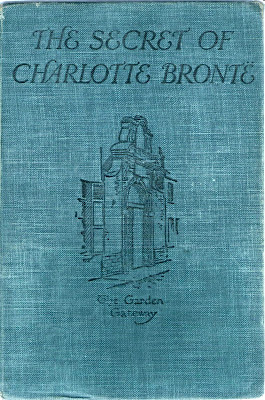 Charlotte Brontë lived there in 1842 and 1843. She came here to study French and fell in love with her teacher. Her novel Villette tells the story. 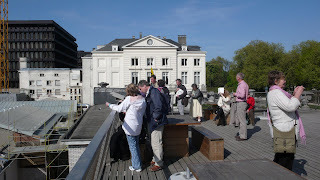 During its first event, the Brussels Brontë Group organized a walk visiting several sites which were portrayed in Charlotte’s book, guided by British-born Derek Blyth. Derek Blyth explains the worldwide fascination for the seven novels by the three Brontë sisters. "They are very personal works, with a psychological depth which somehow manages to reach every age group. My 16-year-old daughter is currently reading Jane Eyre. There aren’t that many 160-year-old books that teenagers of today still read." The Brussels Brontë Group isn’t a collection of purists. You don’t have to pass an exam to join. Knowing the names of the three sisters is enough. And you should enjoy reading of course. With the expansion of the Group, it has set up a Reading Group, focusing particularly on romantic authors such as Austen. Charlotte Brontë stayed in the Pensionnat Heger in Brussels in 1842-43 and fell in love with her teacher Constantin Heger, who taught her French. When she returned to England, she remained obsessed with her professor and wrote him a series of letters. But the professor did not answer her letters. In fact Monsieur Heger tore them up. But his wife rescued them from the wastepaper basket and sewed them back together. Paul Heger, Constantin’s son, donated four of these letters to the British Museum in 1913. On Thursday 18 October, at 19.30, in the Le Cercle des Voyageurs / Travel Arts Café, Rue des Grands Carmes 18, 1000 Brussels, Derek Blyth will talk about these letters. While I was in Haworth during this year’s AGM, I finally found and bought a most precious book, which had been on my wish list for years; The Secret of Charlotte Brontë, by Frederika MacDonald, published in 1914. Perhaps some of you already have this book, but for those who haven’t, I would like to bring it to your attention. This is probably the first and only book which is focused solely on Charlotte Brontë and Brussels, and would therefore be of great interest to everyone interested in that period of her life. 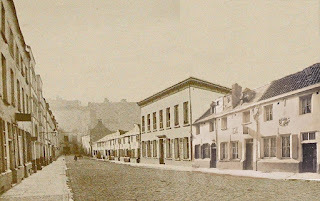 Frederika MacDonald, in 1859, was herself a pupil at the Pensionnat Heger where 17 years earlier Charlotte had been a student, and later a teacher. She knew from first-hand experience what life was like at the school, and even more interesting, what M. Heger and his wife Madame Heger were like in real life. Frederika had been writing articles as an ex-pupil of the Pensionnat from 1894 onwards, but when Charlotte’s letters to Heger were made public in 1913 (when Paul Heger handed them over to the British Museum), she was the first to quote from these letters in a Brontë biography. They form a vital part of this publication, in which Frederika tries to unravel the ‘secret’ of Charlotte on the basis of these letters. “ The Letter obtained no answer. 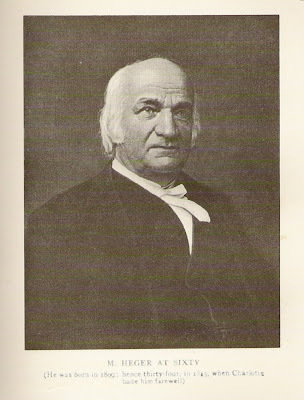 There are also some interesting illustrations, which you hardly find in any other publication or biography. I strongly recommend this book as a wonderful addition of any good Brussels/Brontë collection. If you are able to get your hands on a copy, don’t let it slip you by. To see the digitalized original edition, click on ‘FLIP BOOK’ in the left panel where it says; ‘View the book’. It had been two years since I was last in Haworth during the AGM, and though this visit would be but a short one, I was determined to savour every last minute and enjoy myself to the full. Of our group, I knew only Helen would definitely be there. This time Helen and I would be in Haworth for the first time together, whereas Brussels had been our meeting ground ever since we met each other. 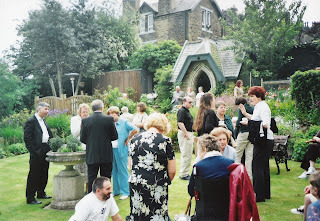 It was our Brontë meeting in a different surrounding. Quite special and very pleasant it was too. I was already there on Thursday, so I had some time to myself, which I mainly used for walking up and down Main Street, around the Parsonage, and buying my first books. I met up with Helen for lunch on Friday, when most members arrived for the weekend. 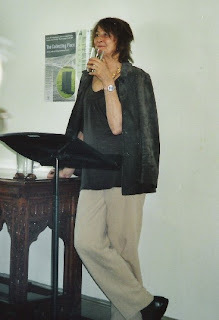 In my report on the Brontë Parsonage Blog, http://bronteparsonage.blogspot.com/ (June weekend 2),I am writing more about the several events. I am sending a few more photos with this little report. 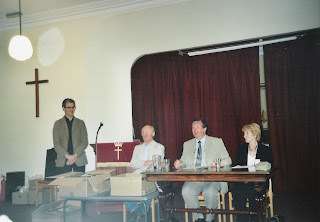 Most exciting for me, and Helen too, was the fascinating panel discussion with the great Brontë biographers. I was in great awe being so close to these wonderful researchers and writers. As I wrote in my report, I took the opportunity of speaking a few words with Juliet Barker, whose biography on the entire Brontë family I always call the ‘Brontë Bible’. She was very kind, but my nerves spoiled it for me, for I actually wanted to ask her autograph. If I had been brave enough, I so wished to ask the entire panel for their autograph. It was not to be. I wonder what she made of my news about our Brussels group; would she be curious enough to have a look at our Website and Blog? From top: by the bandstand in the park featured in Villette; lunch on the terrace of the Musical Instruments Museum; the Hotel Errera seen from the Palais des Beaux-Arts; Place des Martyrs, one of the places visited on our "mystery tour"; the group on the steps of the cathedral. 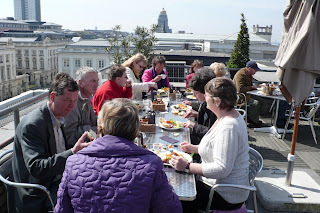 (See our report on the Brontë weekend in Brussels posted on 24 April). During his guided walk on Saturday 21 April Derek Blyth took us to a platform above the Palais des Beaux Arts, or Bozar as it is called now. This platform offered interesting views and panoramas, in particular because at one edge of it, immediately beneath us, there was an enclosed space on about the level of the former Rue d'Isabelle. A day later Selina Busch and I went to an exhibition in Bozar and there we found that enclosed space. What is more, in the wall beneath the platform they have now enclosed the old tower which was a part of the old city wall. 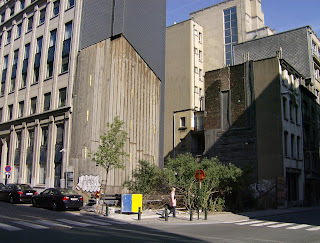 So this place is indeed more or less on the same level as the old Rue d´Isabelle (see photograph). It is also interesting that one can see Hotel Errera, towering high above, as one would imagine it would have looked when seen from the old street, on the basis of the Tahon photograph. The view to the other side is also interesting (see photographs). However, the Rue d´Isabelle did not run across this spot. 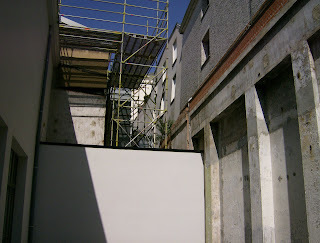 The tower was incorporated into the back of one of the houses on the Rue Royale side of the street. Some five or six metres therefore have to be walked from the tower to the spot where the street began, and then one is inside Bozar again. This little place is a very useful addition to the means we have that enable us to imagine what the old quarter looked like, and we must be grateful to the Palais des Beaux Arts for creating it. It may be that behind the wall in which the tower is enclosed, or in it, behind a layer of plaster, there are remnants of old walls, that are needed to carry the weight of the height of the Rue Royale, and may not have been completely removed for that reason. Four years earlier we had already seen the tower. 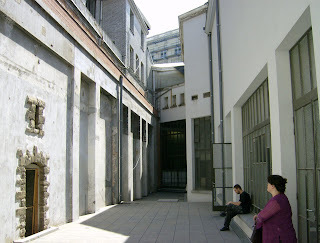 At that time the building was being renovated. There was a lot of work going on near the tower, which was already contained in the white wall. The room, which was not the shape of this place, had a ceiling. 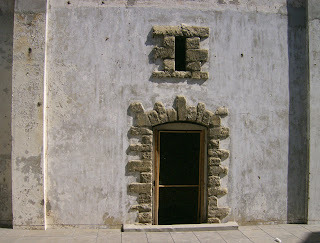 There is another place in the Palais with a few remains of the old quarter. However, it is in an office and not accessible by the public. Our Brontë day on 21 April ended with a selection of dialogues between Lucy and M. Paul read by Selina Busch and Brian Speak. The commentary below is by Maureen Peeck, who selected and introduced the passages. After our meal on Saturday night it was time for some more Villette; during our walks Derek Blyth, our excellent guide, had arranged for Val to read appropriate passages highlighting once again how closely the setting of the novel reflected aspects of Charlotte Brontë’s stay in Brussels. This was an excellent idea and indeed turned out to enhance the theme chosen for the evening readings. This theme was the growth of the relationship between Lucy Snowe and Paul Emanuel. Selina Busch and Brian Speak were the readers and they rose to the occasion. I introduced the passages and linked them together. In such a long novel it is difficult to keep track of everything, so it’s interesting to follow one strand and see how it fits into the whole pattern. We started at the beginning and our last passage was very nearly at the end. In the first passage M Paul is asked by Mme Beck to read Lucy’s face in lieu of a job reference, as he is known for his knowledge of physiognomy. He recommends that Lucy be employed even though he does not divulge any of the “many things” he says he has seen. The next passage was when M Paul requires Lucy to take part at short notice in the school play. He knows she will be able to cope because he has “read her skull” (so he was also a phrenologist). Margaret McCarthy told us that Charlotte had been to a physiognomist/phrenologist with George Smith in London and that the report she received is kept in Haworth. It turned out to be an uncannily accurate analysis of what we know of her personality. Then there was a bit of light relief with the ‘Cleopatra passages’. These refer to the painting of the scantily clad Cleopatra which M Paul forbids Lucy to look at, though as Lucy coyly points out, he spends quite a lot of time studying it himself. Lucy has to content herself with the four boring paintings of “La Vie d'une Femme”. On our walk Derek had shown us a copy of a picture which Charlotte probably saw at an exhibition in Brussels which was obviously the model for her Cleopatra. Our next reading was much later in the novel when M Paul explains how he studies human nature by spying on the girls playing in the garden from his room in the boys’ school, sometimes using a glass! Lucy is shocked. She sees it as an aspect of his jesuitical tendencies. And it even turns out that both he and Mme, independently of one another, have been keeping an eye on Lucy when she thought she was alone in the garden. It is clear that from the start M Paul has been extremely interested in Lucy, and he now tells her how close the affinity is between them, despite their differing religious beliefs. Lucy hears that he believed they were born under the same star and that their destinies were linked. He had also seen the ghostly nun and was convinced it had something to do with them both. The passage ends with the two of them seeing the apparition. We are organising a day of events around the Brontë places in Brussels for members of our Group from Belgium and the Netherlands, who will be joined by a small group from the UK. Those coming from the Netherlands will include two of the Group's founder members, Eric Ruijssenaars, the author of Charlotte Brontë's Promised Land: The Pensionnat Heger and other Brontë places in Brussels and The Pensionnat Revisited: More light shed on the Brussels of the Brontës, and Selina Busch, who illustrated the books. 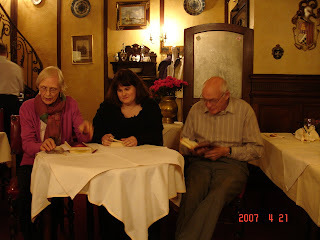 In the past, Eric, Selina and Maureen Peeck O'Toole, who also lives in the Netherlands, have helped to organise similar events in Brussels for visits by the Brontë Society. 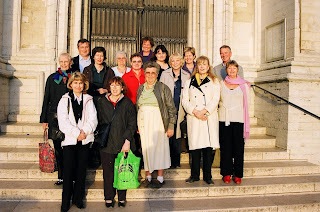 The last such trip by the Society was in 2003 to celebrate the 150th anniversary of the publication of Villette. 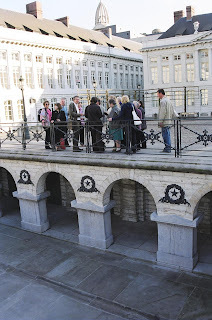 This time we will be guided round the Brontë places by Derek Blyth, author of numerous guide books and articles on Brussels (his Brussels for Pleasure - 13 walks through the historic city includes a Brontë walk). The walk will of course include the Palais des Beaux Arts on the site of the former Pensionnat; Place Royale, which Charlotte Brontë knew well and used in Villette; the park (the setting of Lucy Snowe's hallucinatory wanderings in the novel) and the cathedral where Charlotte went to confess when suffering from depression. Weather allowing, members will picnic in the park. The day will end with a variety of evening events including talks and a Brontë quizz. If you are interested in joining our group and participating in such events, please email helen.macewan@ec.europa.eu for details.